No change in the mechanical kit. Two-wheeler manufacturer Suzuki Motorcycle India private limited has given its 110 cc scooter, the Suzuki Let's, new colour schemes. 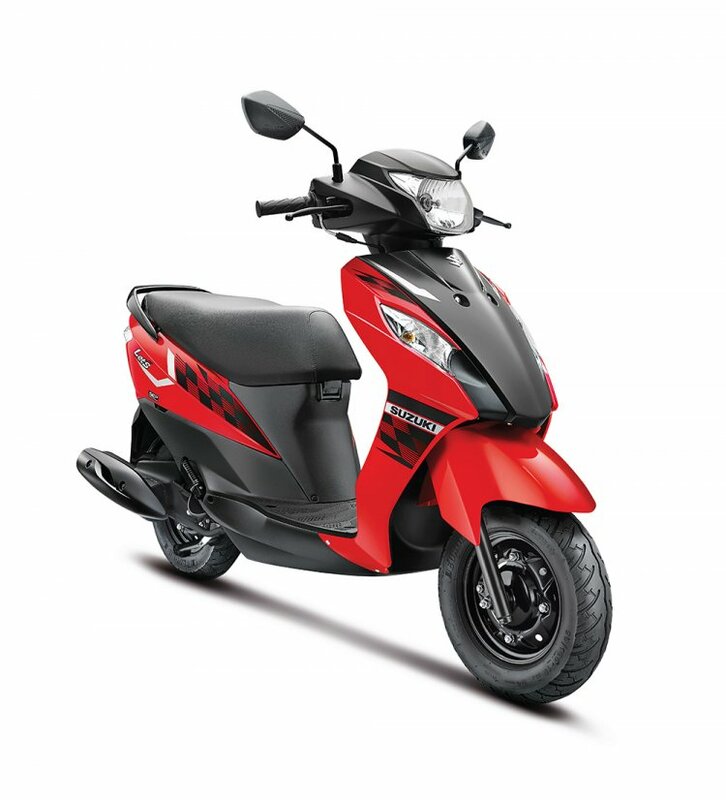 The Let's competes with the segment leader Honda Activa and TVS Jupiter amongst other models. All new colour schemes, three of them in total, come with Matte Black as standard accompaniment. Three new colour schemes have been introduced - Matte Grey with Matte Black, Pearl Mira Red with Matte Black, Pearl Suzuki Blue no.2 with Matte Black, along with the existing Pearl Mirage White offering. The Let's is now available for INR 49,709 (ex-showroom, Bangalore). The latest iteration of the Let's undergoes no mechanical changes. It continues to draw its power from the air-cooled single-cylinder SOHC, twin-valve, 112.8 cc engine that develops 8.7 bhp at 7,500 rpm and 9 Nm of peak torque at 6,500 rpm. Coupled with in-house SEP technology, the Let's claims a mileage of 63 km/l. 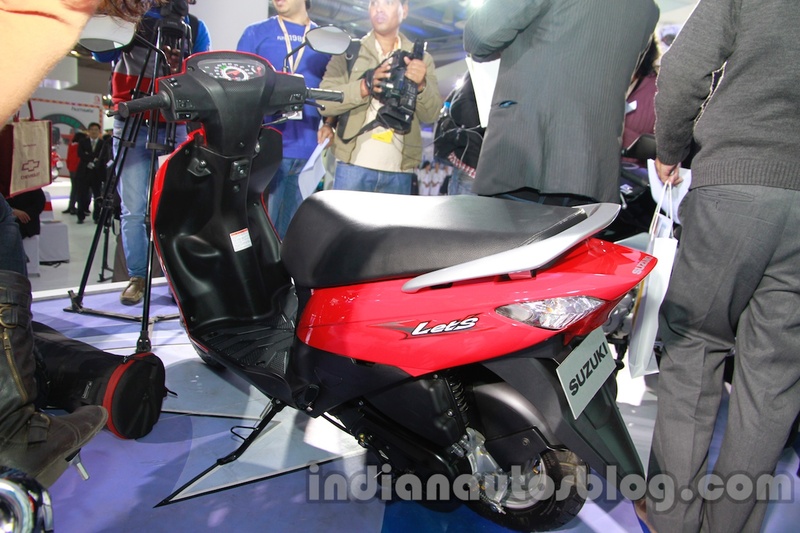 The Let's made its public debut at the Auto Expo 2014, as seen in the picture above. The Let's gets a 5.2 liter fuel tank and a ground clearance of 160 mm. The company's other scooter offerings include the Suzuki Swish and the Suzuki Access, both of them in the 125 cc segment. After making its public debut at the 2014 Auto Expo, the Suzuki Let's was launched in May 2014.